Thread: smart fortwo 451 Stage 3 Performance Package! We are constantly adding parts to our website and I am updating everyone with new products and other products that have been shared here. 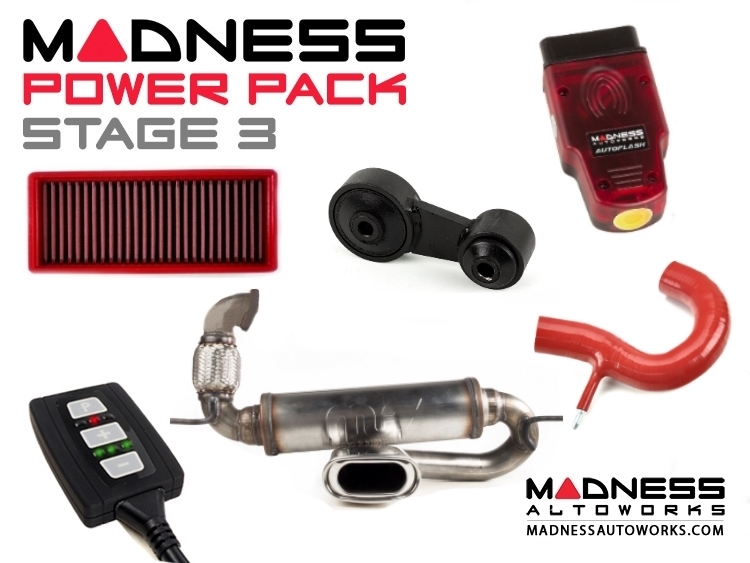 We have shared our Stage 1 and Stage 2 packages here but we also offer a Stage 3 Package for anyone who is looking to get some power gains as well getting a nicer sound out of your smart 451! Please note that if you would like to change a part that is in our stage packages or add a part maybe than we give you that option as well! If so please feel free to reach out to us and we would gladly assist you in doing so! Last edited by SMART MADNESS; 05-09-2017 at 03:24 PM. David left us a review on our site for the stage 3 power pack!! "Hands down the greatest place in North America for you smart needs. Not only am I incredibly impressed with the customer service, I'm also bonkers over the quality and care or onto the parts and installation. John was my main contact, and I have to say by the end of the day I felt confident and comfortable due to his diligence and level of continued care in my experience. ​Stage 3 Power Pack is a great investment. I was pushing 42mpg over the Grapevine on the trip home!" One of the best ways to quickly increase performance and track times! Follow the link below for more information!